I lowkey fell in love with TWEN earlier this year when they opened for Naked Giants at The Empty Bottle in Chicago. An indescribable yet palpable allure exuded from the stage throughout their set that night, and they brought the same undeniable magnetizing vibe with them to Austin for sxsw last month. 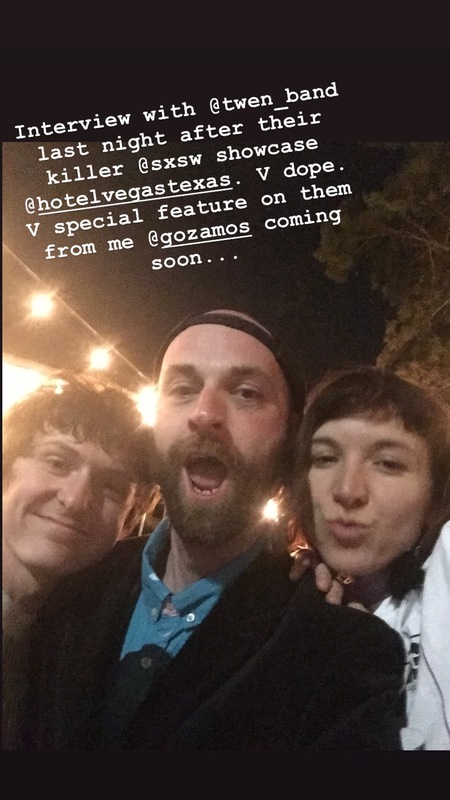 Sitting outside on the sidewalk of Austin, TX with members Jane Fitzsimmons and Ian Jones after their killer set at Hotel Vegas perfectly epitomizes their inevitable forthcoming rise into the forefront of the newest brand of shoegaze: (literally) grounded, yet full of dreams and wonder. 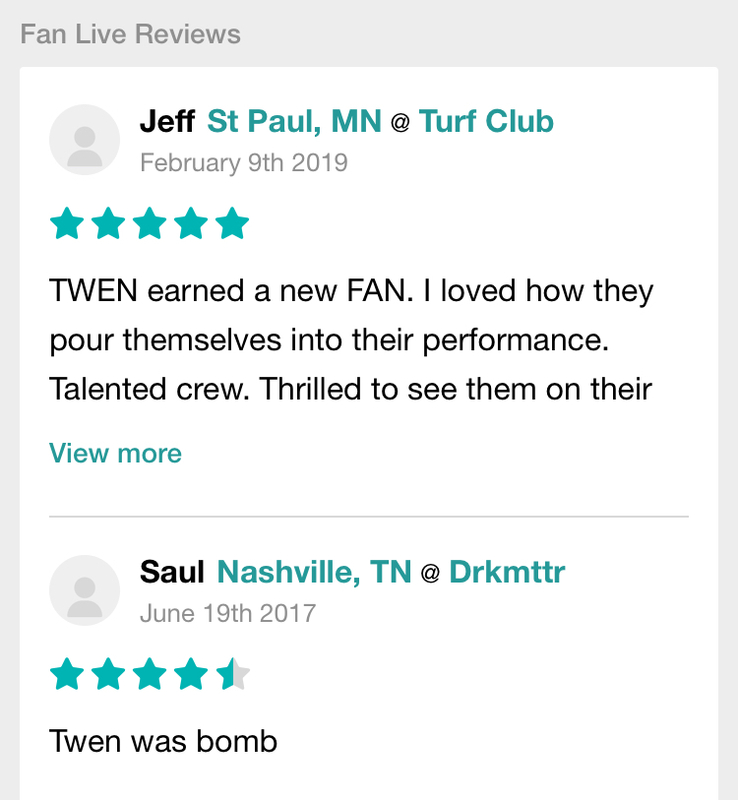 If you haven’t heard TWEN’s sound, they had it described by a fan in Raleigh, NC as “ethereal rock and roll,” and they quite like that, and it is a perfect summation of their dreamy yet hard-hitting sound. Gozamos: How did you meet and form the band? Me: How would you describe your singing? Me: And how would you describe your guitar playing? Me: What’s next for TWEN? Me: How did you arrive on the name TWEN? Me: Any last words for our readers?